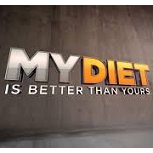 In a Nutshell: After two years using The Taste to fill the Thursday dramas' hiatus in the winter, ABC is switching to new weight-loss reality series My Diet is Better Than Yours. It will fill two hours after Beyond the Tank for each of the next four Thursdays. Best Case: Beyond the Tank will give this show a pretty solid lead-in as filler lineups go. Shaun T has a lot of Twitter followers. Unless American Idol really picks up, the competition seems pretty manageable, so maybe it can hold onto Beyond the Tank's ratings. 1.20, a little better than the Plus of The Taste season one. Worst Case: It's a new reality property without a particularly obvious hook. That means there is massive bomb potential. 0.50. Likeliest: Not my kind of show, so I'm missing out if there's something great here. From my perspective, it seems like summer filler, and I think it gets generally summer-fillery ratings, somewhere between what The Taste did here last year and what the crumbling Extreme Weight Loss did last summer. The Beyond the Tank lead-in helps it improve slightly on last year's Plus from The Taste. 0.78. In a Nutshell: CBS' latest push into single-camera comedy continues with this vehicle for Glee's Jane Lynch, who might be a guardian angel or might just be nuts. The show was initially slated to launch right after Thursday Night Football concluded, but CBS shelved it until now so it could get a run with far fewer interruptions. Best Case: People like Jane Lynch, and her hosting the People's Choice Awards the night before is a solid opportunity to mobilize that crowd. This has a grabbier concept than Life in Pieces. Mom picks up a lot of steam with more favorable conditions in the winter, and Angel from Hell does at least as well as 2 Broke Girls would have with that lead-in. 1.95. Worst Case: Based on the People's Choice collapse last night... do people really like Jane Lynch? I'm really not sure how many times we need to mix multi-cams and single-cams before we realize this just isn't gonna work. Angel from Hell doesn't really seem compatible with anything on the CBS sked, including Mom, and its retention is almost as bad as what Life in Pieces is doing at 8:30. CBS eventually brings back one of its many multi-cams on the bench here. 1.00. Likeliest: This certainly seems a little more unique than something like Life in Pieces, but I'm not sure it matters. Like LiP, it just doesn't seem like a fit on CBS, and the reviews are just a little bit above mediocre. I'm giving it a 1.38. It's a bit better than The McCarthys' Thursday Plus from last year, but that's largely because it premieres on a better part of the calendar. I think the story will be the same in the end, with Life in Pieces the more likely single-cam to eke out a renewal. 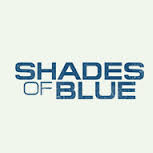 In a Nutshell: Nearly two years after it was ordered straight-to-series, the Jennifer Lopez cop drama Shades of Blue hits the air for NBC on Thursdays after The Blacklist. Emmy winners Ray Liotta and Drea de Matteo have also gotten significant mentions in the promotion for the series. Best Case: Jennifer Lopez is a pretty big name, and American Idol should serve as a de facto lead-in for her fanbase since she's a judge on that show. Liotta and de Matteo add legitimacy to the cast. The Player had to deal with football and How to Get Away with Murder, but in the early weeks Shades of Blue only has... My Diet is Better Than Yours and Elementary. If it can't work here, it probably couldn't have worked anywhere. And it works! 1.75. Worst Case: It's worth noting that there is no actual evidence that viewers of heavily-DVRed The Blacklist will watch anything after it... Allegiance and The Player both bombed very hard here. It'll have a worse premiere night lead-in than The Player did, and that sets it on a course for an even worse ratings average. 0.73. Likeliest: The best thing this show has going for it is the low bar set by The Player. I think this show has enough star power and enough appeal to people watching ads during Chicago series that it can clear that bar pretty easily. It also gets a nice head start on ABC's return to getting good ratings in the hour, so I think it will get a pretty reasonable sampling. Still seems kinda generic to me, so I think it falls into bubble or low-end-bubble territory once How to Get Away with Murder returns to the hour. 1.23.